GENEVA, Dec 31 (Bernama) -- The World Health Organization (WHO) said Wednesday that at least 12,220 people have died as a result of the pandemic influenza H1N1, Kuwait news agency (KUNA) reported. WHO, in an update about the fatalities of the virus, said laboratories in more than 208 countries and overseas territories or communities have reported that at least 12,220 deaths by December 27. A 5.8-magnitude Baja earthquake rattled the southwest United States today, and it was felt in San Diego, Phoenix, Tijuana and even Los Angeles according to reports. The quake struck Baja California at approximately 10:48 a.m. local time, per KPSP-2. Here is some short video of the rain here! Here is our Gingerbread house. A submersible robot witnessed the eruption during an underwater expedition in May near Samoa, and the high-definition videos were presented Thursday at a geophysics conference in San Francisco. This decade is on track to be the hottest on record, according to the UN's World Meteorological Organization, and 2009 is the fifth-warmest year on record. “I could go on. 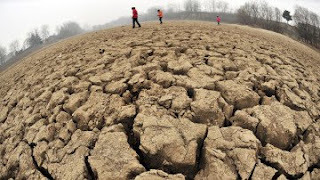 There was the worst drought in five decades which affected millions of people in China, a poor monsoon season in India causing severe droughts, massive food shortages associated with a big drought in Kenya,” he said.